Few things in this world invoke the same types of feelings that tailgates do. However, each school seems to have its own identity. 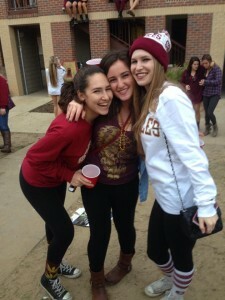 This week we take you to Tallahassee, Florida, where the guys are frat stars and the girls just love their cowboy boots. 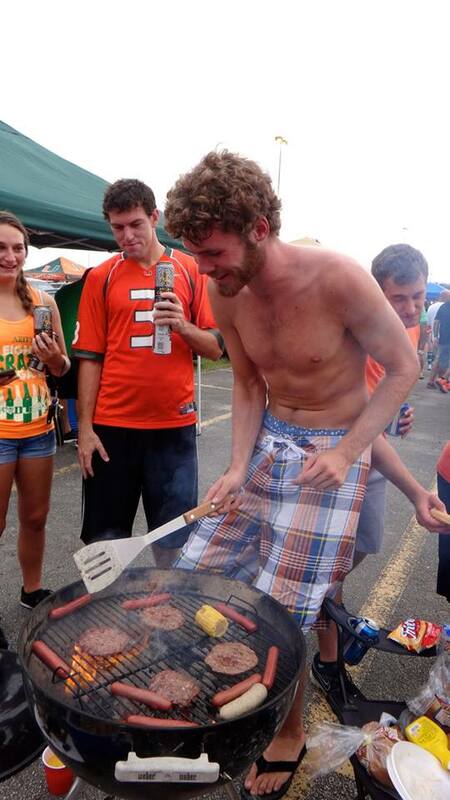 But this post wouldn’t be complete without a look at UM’s own tailgating rituals. 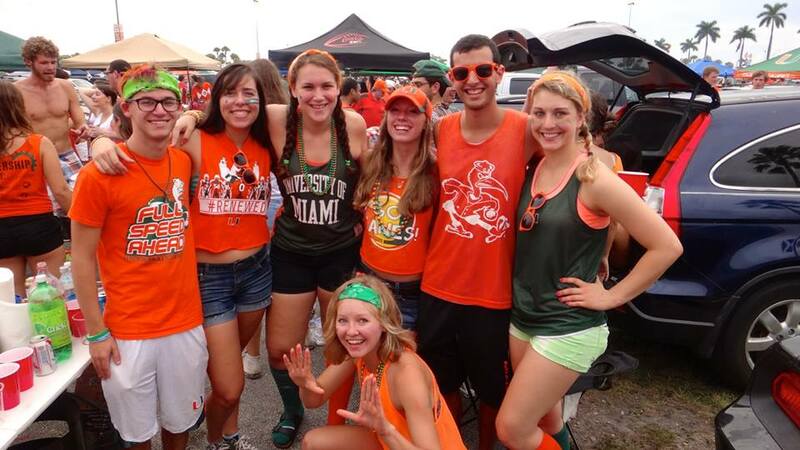 So, let’s take a look at some of the pros and cons of UM and FSU tailgates. 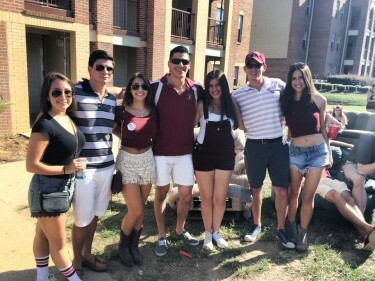 She’s hip, she’s cool and she clearly doesn’t subscribe to the idea that tailgates are messy and could potentially end in getting beer spilled all over her. But whatever, at least she looks cute for like a millisecond. Maybe I’m partial for obvious reasons, but to me this seems like more appropriate tailgate attire. It’s clean, it’s simple and they’re clothes that you can throw into the washing machine as soon as you get home without worrying that they’ll shrink or get ruined. No muss, no fuss. Feel me? The only good thing about tailgating at FSU is that the temperature doesn’t stay at 99.9 degrees Fahrenheit until January. Therefore, a girl can pull off the beanie, sweatshirt, boots and leggings look without melting, dying or getting “Wow, you’re insane” looks from her besties. This is November. Only in Miami can students still be tailgating shirtless. Granted, it is nice to rub it in to your friends who go to school up north. Cue the “haha, you’re in the snow and I’m in paradise” Snapchat. Don’t get me wrong, I love the dodgy feel of Sun Life Stadium on Saturdays, but it must be nice to walk out of your dorm room and into a tailgate. Just the convenience of having the stadium on campus makes it more enticing. The asphalt, barbecues and all-around close proximity to everyone and everything make this place an inferno of drunken college kids. I legitimately don’t understand how, but as soon as one arrives at Sun Life, he or she is greeted with thick and choking heat. It’s like the greenhouse effect but with beer. 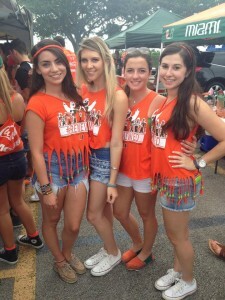 On the plus side, we don’t have to tailgate next to the Dean of Students Office. We may both be Florida schools, but UM and FSU have vast differences when it comes to tailgating. And while some long for a stadium on campus and actual changes in temperature, I wouldn’t trade our crazy, disgusting parking lot tailgates for anything else. At the end of the day, what makes the University of Miami unique, is its ability to transform the most random things into tried and true traditions. This doesn’t change the fact, however, that we’re all still salty about the Orange Bowl.